The pH level of soil is measured on a scale from 1 to 14, with 1 being acidic and 14 being alkaline. Because the pH of the soil affects how readily nutrients are available to plants, testing and maintaining your soil’s pH is vital to the health of your plants. Most plants thrive in soil with a pH between 6.5 and 7.5. When the pH of your garden soil falls below 6.5, typical garden plants are unable to access the nutrients they need to grow and produce abundant fruit. Raising the pH to an acceptable level creates the environment your plants need to thrive. Test your soil to determine its pH level. An inexpensive kit from the hardware store or gardening supply center can be purchased for a few dollars. Follow the instructions for gathering the soil sample and testing the pH. Compare your results to the chart included in the kit. This typically involves matching the color of water in the vial of the test kit to the chart of colors. Note the number associated with your results. This number represents the pH of your soil. Determine the amount of lime to apply to your garden. Now that you know the type (average garden soil is considered loam) and pH of your soil, you can find out how much lime to apply from the information located on the side of the bag of lime that you purchased. Write down the number of pounds of lime required for each 100 square feet of soil to raise your pH to 6.5. Multiply the width times the length of your garden in feet to determine the number of square feet of your garden. 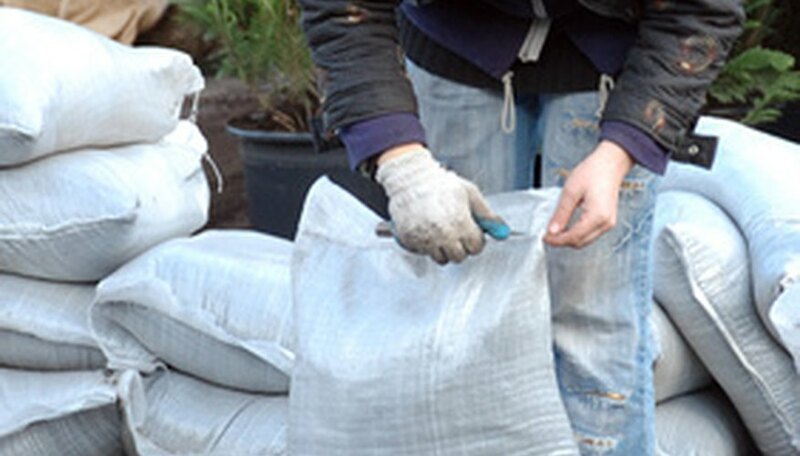 Convert the amount of lime for 100 square feet to the size of your area. If your area is 200 square feet, it requires twice as much lime as listed on the chart. If your area is 50 square feet, it requires only half the amount of lime listed. Spread the lime evenly over the entire garden area. Till into the soil with a garden tiller. Retest soil in 60 days to determine if more lime is needed. Lime takes time to alter the pH of the soil. Add lime in the fall to allow time for it to raise the pH of the soil before planting, if possible. Use caution when handling lime as it can irritate or burn mucus membranes. Wear protective gloves and clothing. Avoid spreading lime on windy days.